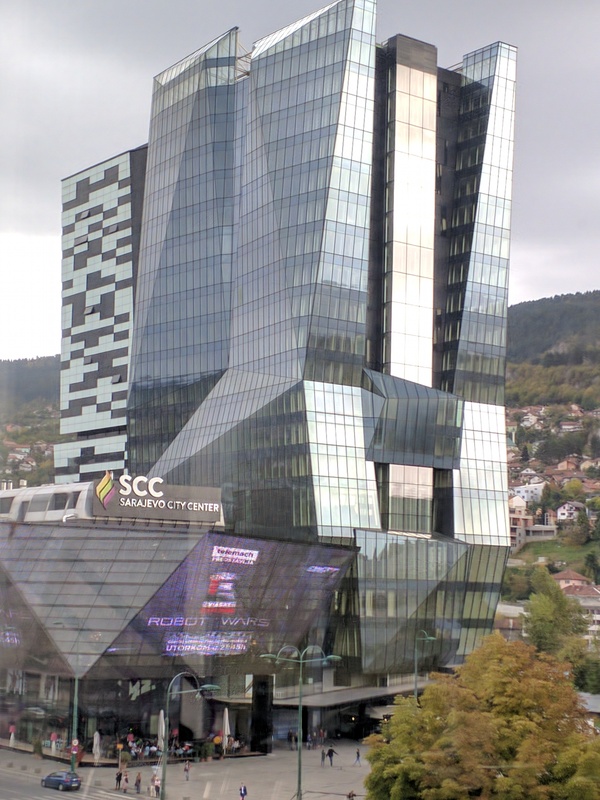 Accor – Newsroom | Swissôtel, an AccorHotels brand, enters the Bosnian market with the signature of a hotel in Sarajevo. Swissôtel, an AccorHotels brand, enters the Bosnian market with the signature of a hotel in Sarajevo. Swissôtel Sarajevo, a new 218 room hotel, scheduled to open in 2018. Swissôtel, part of AccorHotels, world-leading travel & lifestyle group, today announced that it has entered into a franchise agreement with Al Shiddi International for development of a new 218-room urban resort scheduled to open in early 2018. Situated next to Bosnian Parliament, within the expansive mixed use Sarajevo City Center project, consisting of shopping mall and office tower with 30,000 daily visitors, Swissôtel Sarajevo will enjoy a commanding downtown commercial and residential location, as a new landmark for Sarajevo, close to top attractions and Sarajevo International Airport. The project is being developed and operated by Al Shiddi International from Riyadh, one of the prominent investment companies in Saudi Arabia with an extensive portfolio of investments locally and globally featuring financial services, real estate, agriculture, manufacturing, industrial and retail. Interiors are designed by Scott Brownrigg Associates, a leading UK hotel design firm with extensive experience in high end hotel development across Europe, hotel will offer scenic all-glass views of the downtown and mountains, stunning guestrooms featuring spacious bedrooms. Completing the guest experience will be a private executive club, three exquisite dining outlets, the brand’s signature Pürovel Spa & Sport, and 500 square meters (5,300 square feet) of indoor meeting space with function areas. “We are extremely pleased to be partnering with AccorHotels on this new Swissôtel resort project and look forward to working with them to create a truly world-class property,” said Mr Sulaiman Al Shiddi for Al Shiddi International. “Bosnia is a thriving holiday discovery destination popular with travelers from all over the world who are looking for the ultimate mix of relaxation, adventure and cultural flair; Swissôtel will deliver against this and more. Furthermore, National Geographic has published special addition Western Balkan: Land of Discovery with Bosnia prominently featured as its centerpiece”. Surrounded by EU member Croatia Bosnia is a country with a population of 4 million. It is one of European leading new discovery vacation hotspots featuring annual 20% increase in the tourist arrival for the past 5 years. It has recently added several direct flights to the Gulf Cooperation Council as is a host to world-famous Sarajevo Film Festival. Bosnia is renowned for its beautiful natural parks, pristine forest, Ottoman architectural treasures, extended waterfalls and rapids, an UNESCO Mostar Bridge site, and distinctive coffee culture. Swissôtel Hotels & Resorts, renowned for its Swiss inspired hospitality, is extending its international reach with plans to open a number of new developments in the coming years. Projects are slated for China, India, Russia and Turkey as well as other exciting destinations globally. Since its establishment in 1975, Al-Shiddi business group has grown to become of the most successful companies in the Kingdom of Saudi Arabia, through capital deployment in multiple sectors locally and active global operations, in areas of real estate, construction, agriculture, hospitality, and trade. Group also conducts business internationally, primarily in the United Kindgom and Bosnia and Herzegovina, where it is one of the largest foreign investors having already opened 186 rooms luxury Bristol hotel and 420 residential units within Poljine Hills compound.